Before you hit the road in an RV, check here for fun things to see and do in the states you'll be passing through! You'll find RV campgrounds & national parks, plus fun things to do -- by state. Fellow RVers are sharing fun places they've visited that are worthy of being on your RV bucket list! Jim and I have used our Good Sam Club membership card at lots of different RV campgrounds to save on camping costs AND at lots of different Camping World stores (and online) to save on RV parts and accessories. Those discounts alone have more than paid for our membership. 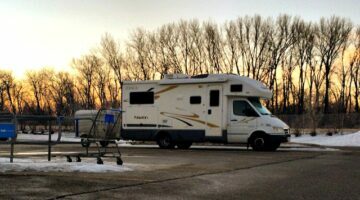 Here’s why we think membership in the Good Sam Club is a good thing — especially for new RVers who are planning their first RV trips. Fun RV Hobbies: What’s Your Favorite RV Hobby While Traveling? Beyond sightseeing, how do you REALLY spend your time in an RV? Perhaps it’s time to find a fun RV hobby! Here are some super interesting RV hobbies that are perfect for RVers who live their life on the road. RV Resorts, RV Parks, RV Campgrounds… What’s The Difference? 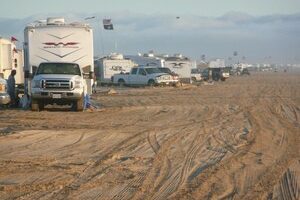 Here’s a guide with helpful tips for RVers describing the differences between RV parks, RV resorts, and RV campgrounds. Plus, advice on how to find the best RV campground reviews, so you’ll have a better idea what a place is like before you arrive. 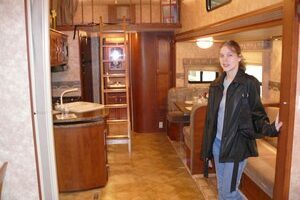 Go Behind The Scenes In The RV Industry: Take A Free RV Factory Tour! You probably have a lot of questions about the RV industry and how RVs are made. 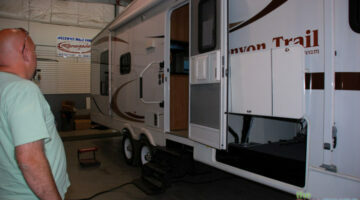 By touring an RV manufacturing facility you will find answers to many of your questions. RV factory tours take you behind the scenes in the RV industry. There’s no better way to see firsthand how an RV is built — from start to finish. You get to watch as an RV is transformed from a bare frame to a finished product. 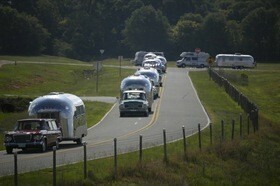 Following is a brief review of the places we stayed on a recent RV trip to Kentucky. We traveled along the Kentucky Bourbon Trail, visiting bourbon distilleries during the day and camping at RV parks at night. We stayed at 3 different campgrounds — each of which we would recommend and stay at again in the future. Each place accommodates big rigs like our 40-foot motorhome. We recently went RV camping in the Nemadji State Forest. 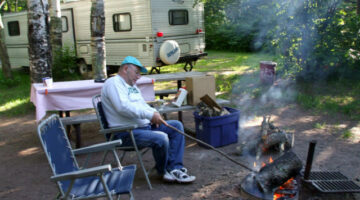 It’s a hot spot in northern Minnesota for RVers who happen to also be ATVers. Our destination was Garfvert Campground on Pickerel Lake just outside of Nickerson, Minnesota. Here’s what ATVing and RV camping is like there. That first meal cooked outdoors on the grill or over an open fire while you’re enjoying the great outdoors just says, “Let the fun begin!” I like to experiment and find new recipes that work well with the RV lifestyle – which usually means simple ingredients and easy preparation. 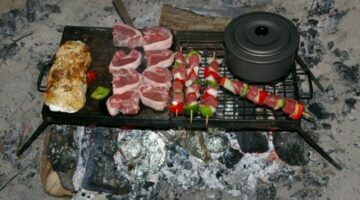 Here are the best camping recipes for RVers. 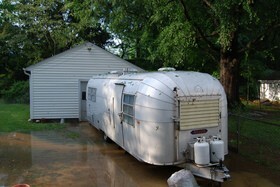 Check Out Our Fun RV Facebook & Twitter Pages! Get lots of fun ideas for planning your next adventure onboard a motorhome, travel trailer, or 5th wheel RV! 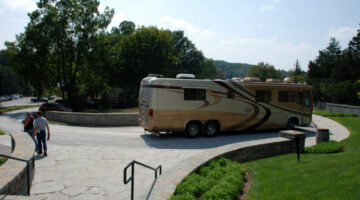 Plus great tips for keeping your RV in tip-top shape on our fun RV Facebook and Twitter pages! 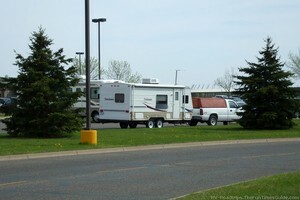 We headed to the Grand Casino’s RV Resort in Hinckley, Minnesota for the Memorial Day weekend. We spent the first night RV boondocking in the casino parking lot. The next night we stayed at the RV resort campground. When you’re new to RV travel, you might not be aware that many RV friendly places will bend over backwards to attract your business. Here are the top 6 places where you can usually stay for free… and take advantage of other conveniences too. 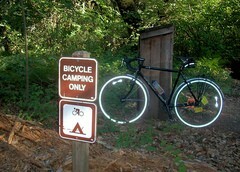 Reasons to take your bike along the next time you’re RV camping! Getting away from it all is even better with a 4×4 RV. Just use caution as going to far can do some serious damage to your RV, and repairs could get costly real quick! 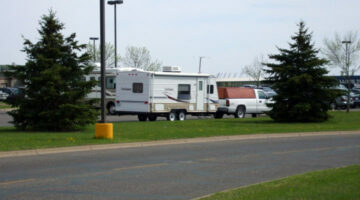 Check out our list of all the best free RV parking spots when you need a place to stay overnight. Looking for a place to stay for free on a longer basis? We’ve got that too! 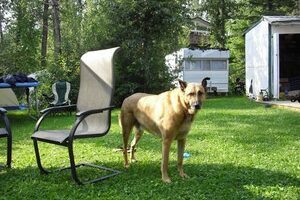 All aspects of RV boondocking are covered here. 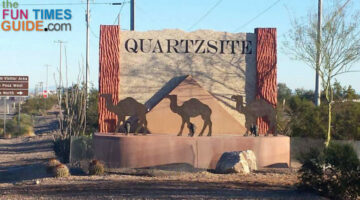 Every year half a million RV snowbirds head to Quartzsite AZ. With ongoing activities and plenty to see & do many spend their winter months parked in the desert. Free camping in the desert is a great way to stretch both your vacation and your budget. 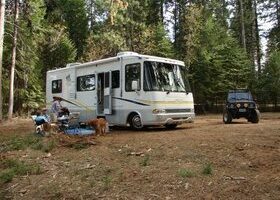 Are the noise and confusion of an RV campground too much for you? 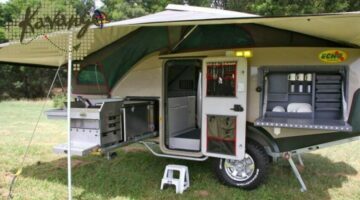 Try a 4-wheel drive vehicle with a small off-road trailer and get away from the crowds by boondocking! RV shows are a great place to get acquainted with what’s available in the world of RVs. Here are some things you should know before you attend your first RV show. Factory Tours, Visitor Centers & Museums Make Great RV Road Trips! 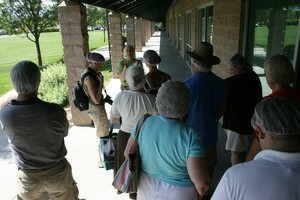 Many factories provide public tours that allow you to see just how things are made and eventually sold in stores. Just as interesting are Visitor Centers, Hall of Fame locations, and other national museums. Here are some factory tours and museums worth considering for your next RV road trip. 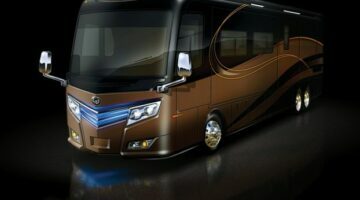 If you can’t afford the price of a Monaco motorcoach, you can surely afford a die-cast miniature version of this high-class RV. You can use a travel journal to document your travels online — either in a formatted book, blog, or other travel journal. Or, you can simply jot down thoughts in a notebook or spiral binder. Here are the benefits of writing your RV experiences in a travel journal! Looking to try some longterm camping in your RV without breaking the bank? There are lots of places to stay that won’t cost you much, but you have to be prepared to fend for yourself — because cheap means no amenities! The best way to get to know people that share the same interest as yourself is to join groups and participate in events where like-minded people get together. Nowhere is this more common than in the RV lifestyle. 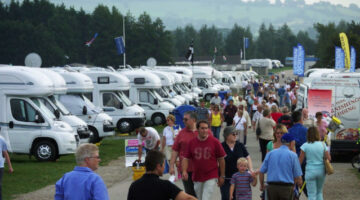 RV clubs, groups, and rallies are a great way to interact with other RVers. Tips for keeping the family ties strong — whether the relatives live across town or on the other side of the country. If you’re taking your RV to a relative’s home, here are some things to keep in mind!